The New Mexico State Police are seeking the public’s assistance in locating a man who’s been missing since participating in a vehicle theft six months ago. On Feb. 18, Henry Thomas Duran, 30, was involved in the unlawful taking of a motor vehicle, which was later recovered. He has been missing since that date. Duran is described as 5’6″ tall, weighing 157 pounds, with multiple tattoos. He is from the Las Vegas, N.M., area and has not made contact with his family or friends since February. His disappearance has law enforcement concerned about his well being. 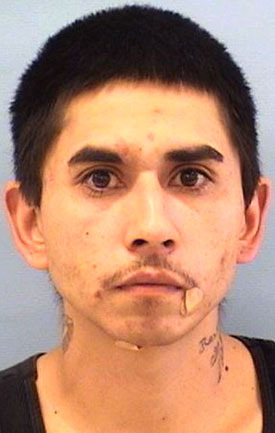 Anyone with information as to Duran’s whereabouts is asked to call the NMSP at 505-425-6771 and ask to speak to an Investigations Bureau supervisor.